If you don’t want to hear your phone ring, but do want to hear text messages and other notifications, we’ve got a simple solution you can use no matter what phone you have. Whether you’re trying to train people to text you instead of gabbing your ear off or you just really hate phone calls in general, it’s easy to set your phone up so calls are silent but text messages, app notifications, and other alerts are still audible. 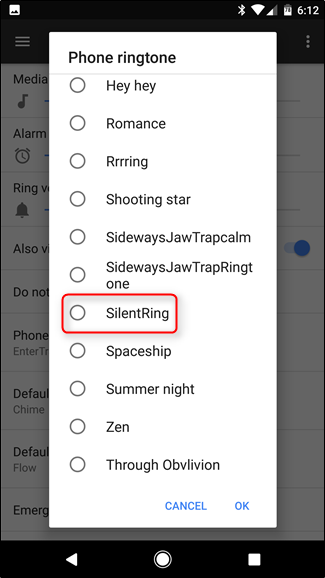 To do this, we’re going to take a page from our tutorial on creating silent-but-vibrating alarms on iOS, but add some guidance to make this trick work on iOS, Android, or any mobile platform that allows for custom ringtones. 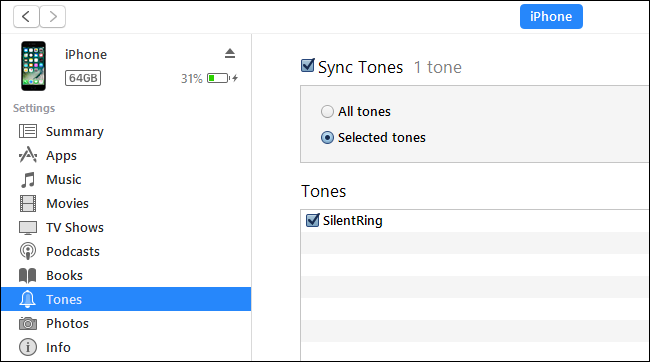 The first order of business is to get your hands on a silent ringtone—an audio file that is literally nothing but a span of silence. This allows your phone to “ring”, but you won’t actually hear it. Getting a silent ringtone is easy: you can buy them in app stores (typically for a nominal fee of $0.99 or so), or you can create them yourself using free audio editors like Audacity to make 10-20 second clips of dead air. Alternatively, you can download and transfer this simple silent ringtone we made for you—the ZIP file contains an MP3 file for Android and other mobile OSes and an M4R file for iOS. If you have an iPhone and you didn’t go the pay-for-a-ringtone route, you’ll need to jump through the iTunes hoop. 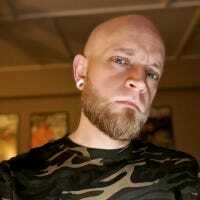 Download the ZIP file, extract the .M4R ringtone file, and then drag and drop it into iTunes. The file will end up in the “Tones” category of iTunes. Just selectively sync “SilentRing” as shown below. Once the ringtone file is on your device, it’s time to configure your phone to use it—skip ahead to the next section. Things are a wee bit more flexible if you’re an Android phone. You don’t need an app like iTunes., You can download our file directly to your phone, and then unzip it using an app like Solid Explorer. Or you can download it to your PC, unzip it, and then copy it over via USB tether. 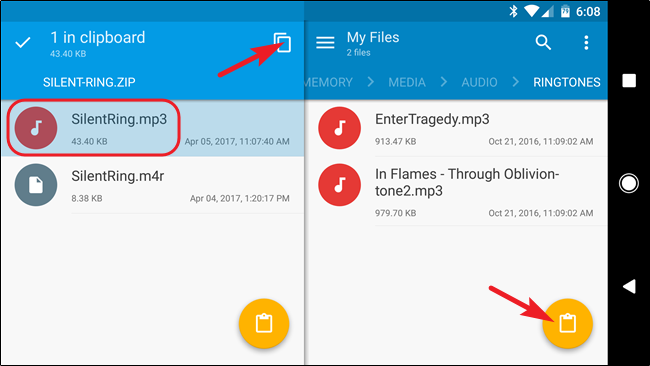 Whichever method you use to get it onto your phone, long-press the MP3 file, and then tap the copy button in the top right. From there, navigate to Media > Audio > Ringtones, and then tap the clipboard icon in the lower right corner to paste the SilentRing.mp3 file. If you’re using Solid Explorer, you can flip your phone into landscape mode to see both windows at once. Brilliant. And now that the file is in place, it’s time to set it as your ringtone. 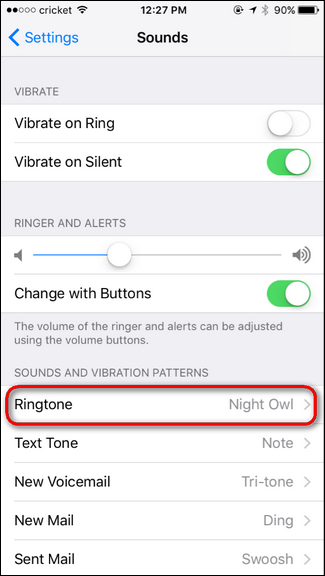 Once you’ve got the silent ringtone file on your phone, it’s time to set your phone up to use it. 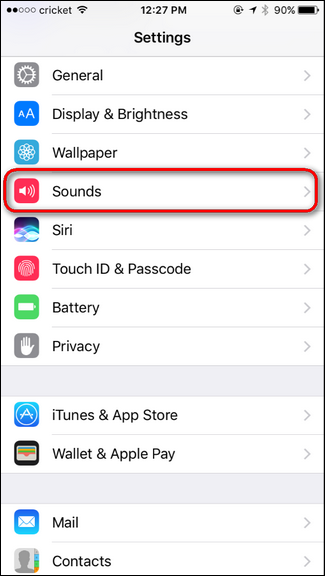 In iOS, you can change the ringer by opening up the Settings app and scrolling down to the “Sounds” entry. 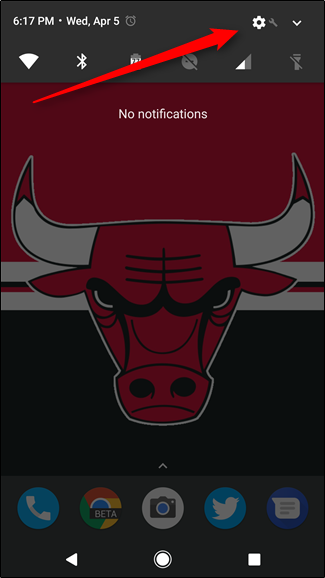 On the “Sounds” page, scroll down and select the “Ringtone” entry. There are two things to attend to here. First, tap “Vibration” and select “None” as your vibration pattern. Next, tap “SilentRing” at the top of your “Ringtones” list. iOS puts your imported ringtones right at the top. Silent. Like space. Where no one can here you call. Boom, done. Now when you receive a call, your phone won’t actually ring or vibrate—it will just play the silent ringtone. 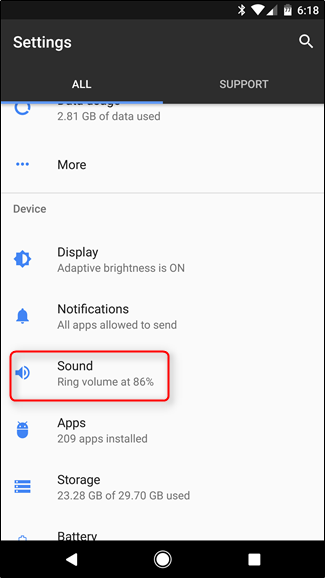 In Android, you need to follow a very similar routine to iOS, by jumping into Settings > Sound. You can get into the Settings menu by pulling the notification shade down and tapping the gear icon. 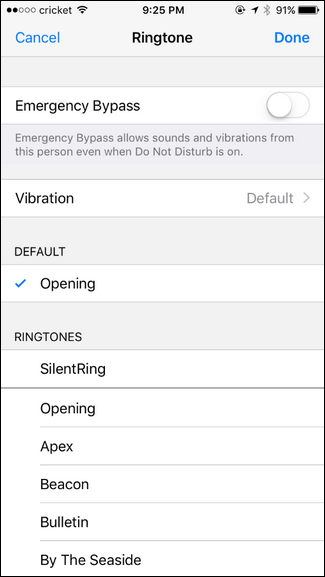 On the “Sound” page, make sure the “Also vibrate for calls” setting is turned off. Next, tap the “Phone Ringtone” entry and, on the “Ringtone” page, select the “SilentRing” tone. And with that quick tweak, all phone calls are silenced. 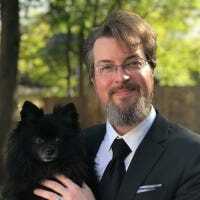 Perhaps you only resorted to using a silent ringtone because you were getting a huge number of spam calls and calls from people you didn’t really want to talk to. If you still want to hear the ringer when your good friends, spouse, or kids call, that’s no problem. 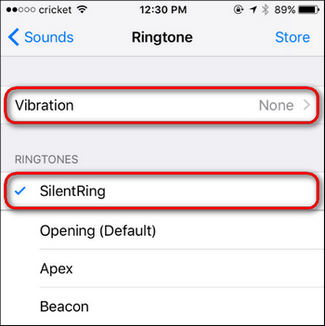 You can use the silent ringtone as your default, global ringtone, and then set individual ringtones for individual contacts. 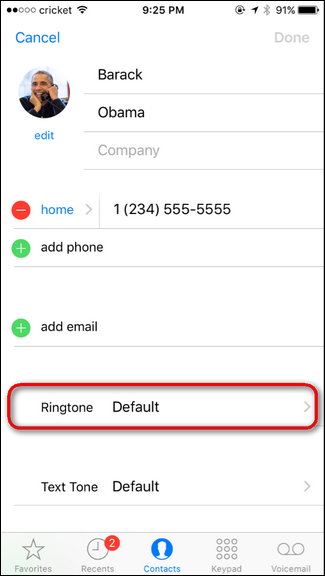 We’ve covered this trick in depth for iOS, but in short, open each individual contact and tweak the ringtone there. In iOS, you do this by tapping “Ringtone” on the main contact page, and then selecting any ringtone but the “SilentRing” we just uploaded. 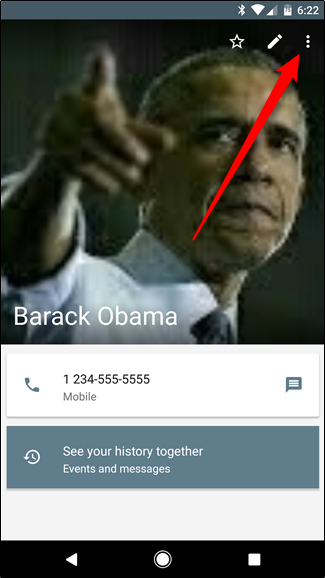 We’ve also covered the details for setting ringtones for specific contacts in Android. 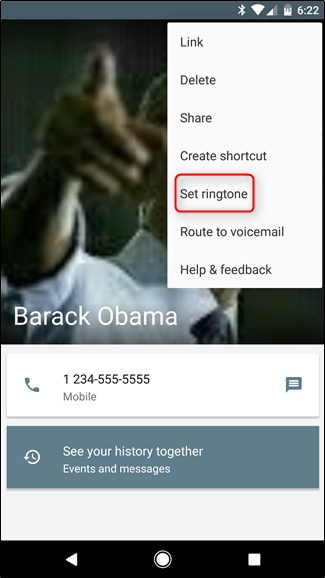 Short version: open the Contacts app, find the contact you want to edit, tap the three button menu in the upper-right corner, and then choose the “Set Ringtone” command. With a few contact edits, you’ll get audible ringtones for the people you actually want to hear from and sweet, sweet silence for everyone else. You can even take this little trick and build on it. If, for example, you want to keep your ringer on but you want to no longer hear the constant chiming of other notifications (like those from apps) you can dig back into the Sounds menu and switch those to the SilentRing, too. 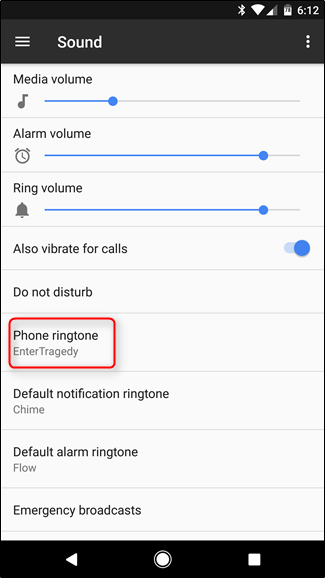 You could even keep your global ringtone set to whatever you like and assign the silent ringtone just to individual contacts for whom you don’t want the phone to ring.